The Marine Corps’ contribution to the United States Special Operations Command (SOCOM) is centered around three Marine Raider Battalions. 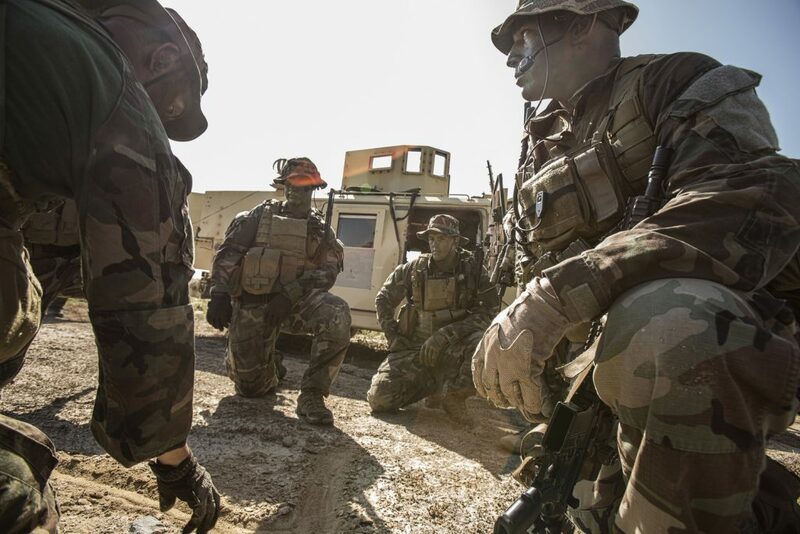 MARSOC deploys scalable, tailorable special operations forces all over the world, to conduct direct action, special reconnaissance, and foreign internal defense. MARSOC has also been directed to conduct counter-terrorism and information operations, in light of the changing global threat. MARSOC Marines are forged during a three-phase assessment, selection, and training pipeline. Regular Marines from any background must meet a series of prerequisites prior to applying to a MARSOC Recruiter. Once screened, a handful of applicants will be given the opportunity to attend the Assessment and Selection course. After six weeks of intense physical and mental challenges, the small group of remaining Marines are then given the opportunity to earn the Marine Special Operator Insignia during the 9-month Individual Training Course. At ITC, candidates are pushed to their limits while learning the basic tactics, techniques, and procedures that they will need to master as Marine Raiders. After being trained in basic skills, communications, combat casualty care, amphibious operations, direct action, special reconnaissance, and foreign internal defense, graduates of ITC are given their Insignia and begin their journey as Marine Raiders.